A recent IPSOS study revealed that 76% of workers in the 18-34 age group, “feel somewhat or very strongly that office design and aesthetic influences their impression of a company.” In light of these trends, we’re working with companies to create workspaces that emphasize wellness, productivity and areas for comfortable collaboration. Our Best-in-Application product recommendations are designed to fit the workplace specifications and budget for each of our clients. Rightsize works with over 200+ contract grade manufacturers and offers a BLENDED SOLUTION of various grades, finishes, availability and price points. 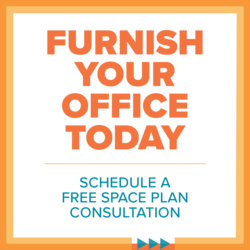 This allows us to truly customize each office we do to specifically fit the needs of our clients and offer the best discounting in each of our markets for our top strategically aligned brands. 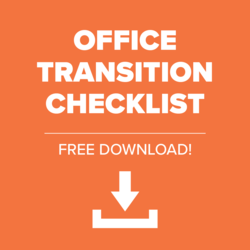 Here are some examples of trends we expect to see in 2019 and relevant products we can include as part of your office interior solution. A comfortable lounge space facilitates extended collaboration, increased productivity as well as casual interaction and camaraderie. 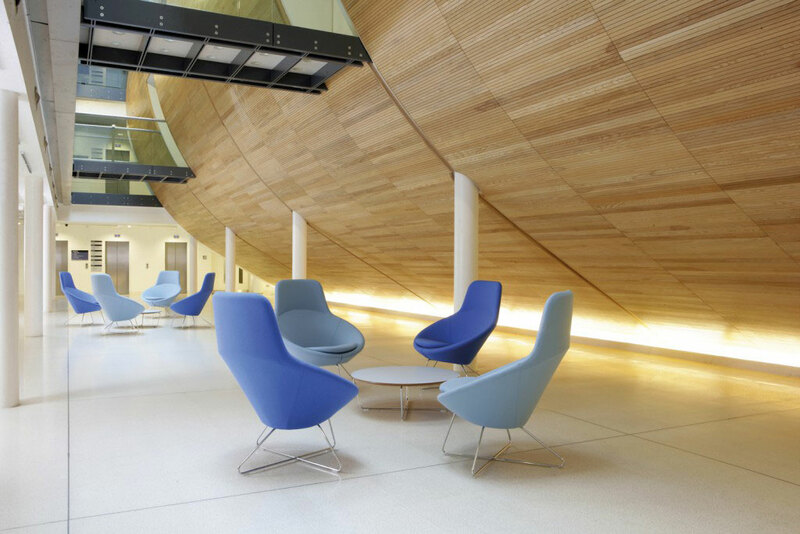 Allermuir Conic seating refreshing, eye catching and exciting take on various conical forms seen in contemporary soft seating over the decades. 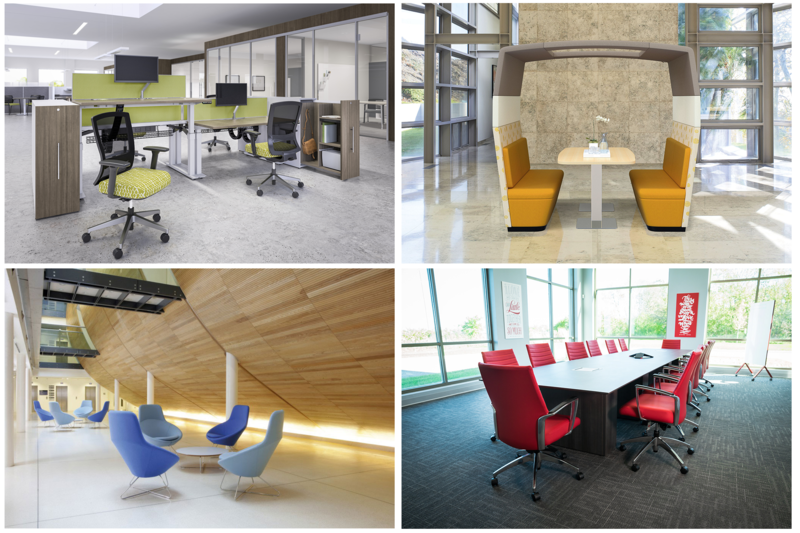 Conic’s shape and form provide excellent and inviting levels of comfort with a broad appeal. The health benefits of reducing the amount of time sitting have been widely documented in recent years and employees are increasingly asking for sit-stand options. 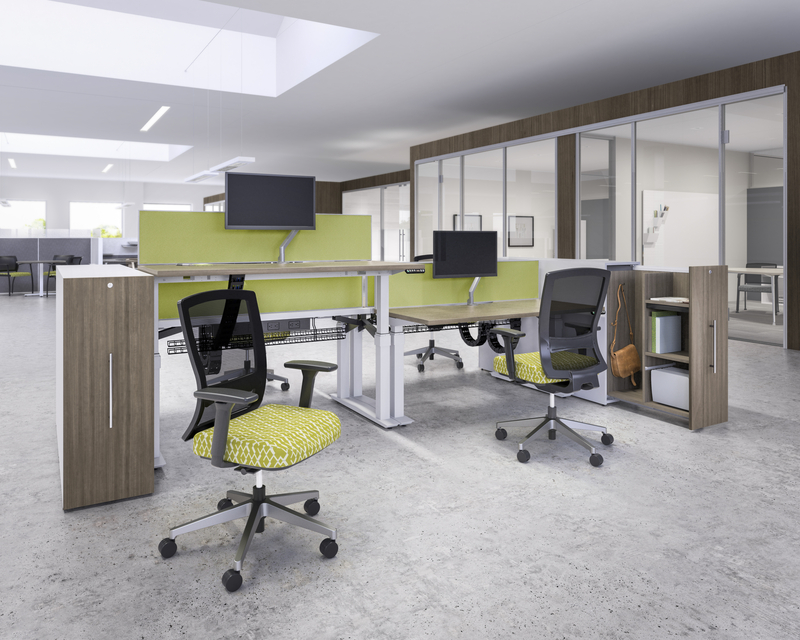 AIS Aloft is a unique height-adjustable benching solution with a sleek and flexible design intended for a modern open space. An increasing amount of our clients are incorporating branding into their office design to attract staff, impress clients and reinforce a sense of pride in the company. 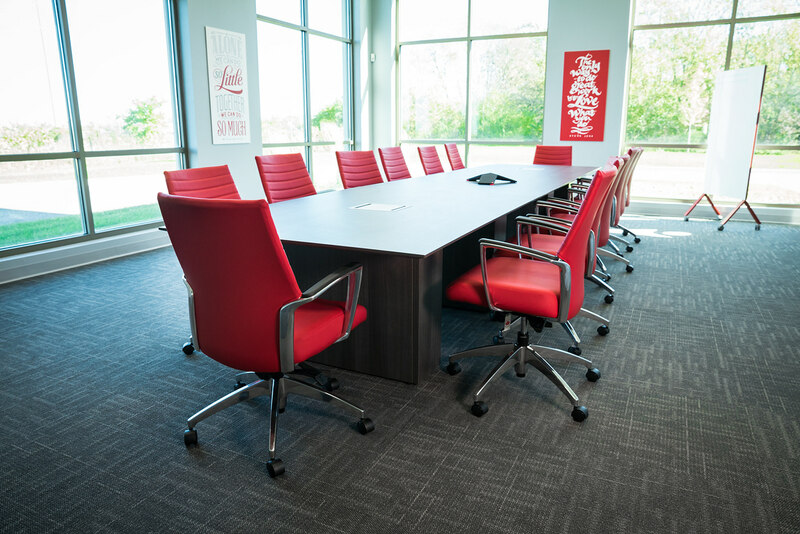 This is often manifested in color choices for furniture, like this packaging company’s use of red for the Global Accord seating we utilized to FURNISH their office. 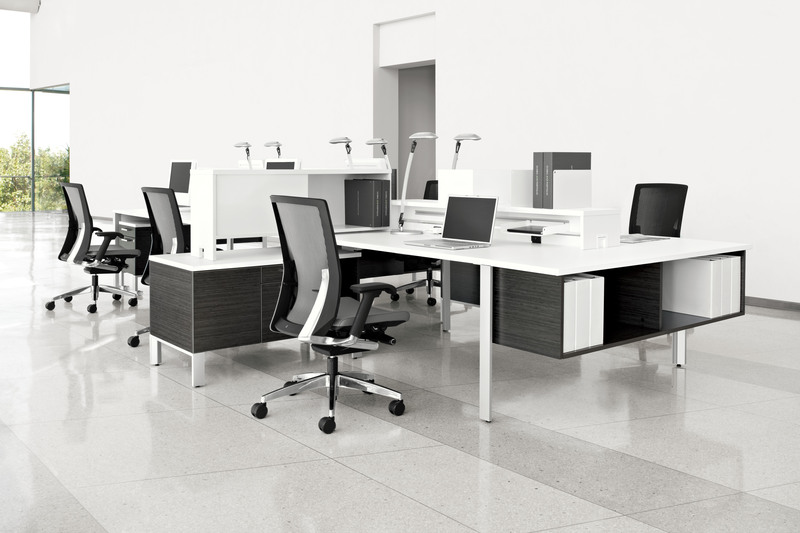 Modular panel-based benching systems allow for efficient and flexible configurations for individual and collaborative workspaces. Global Furniture Group’s Bridges II benching system includes freestanding and integrated seating modules, coordinating tables, privacy screens, power and lighting. 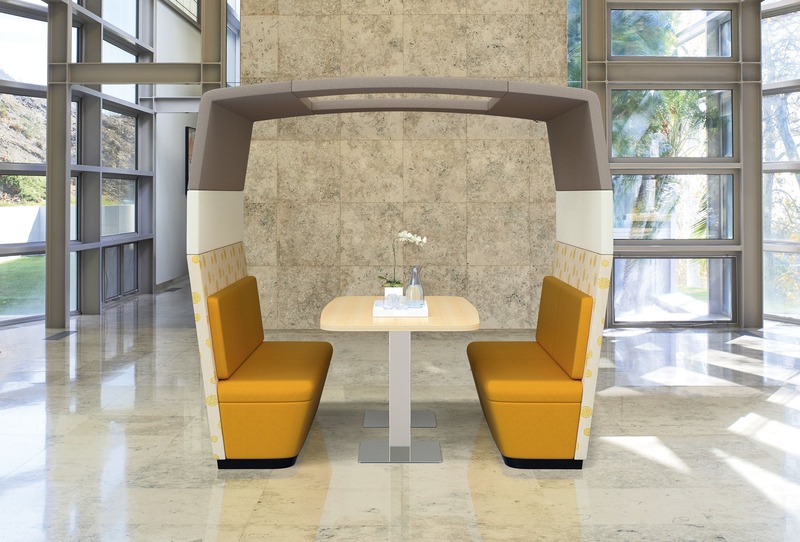 An offshoot of the increase in open office designs and panel-based benching like that showcased above are booths or acoustic pods to facilitate semi-private meetings and phone conversations. Enclaves like the Arcadia Co-Op can be positioned anywhere and require no elaborate construction to create a custom built-in feel. 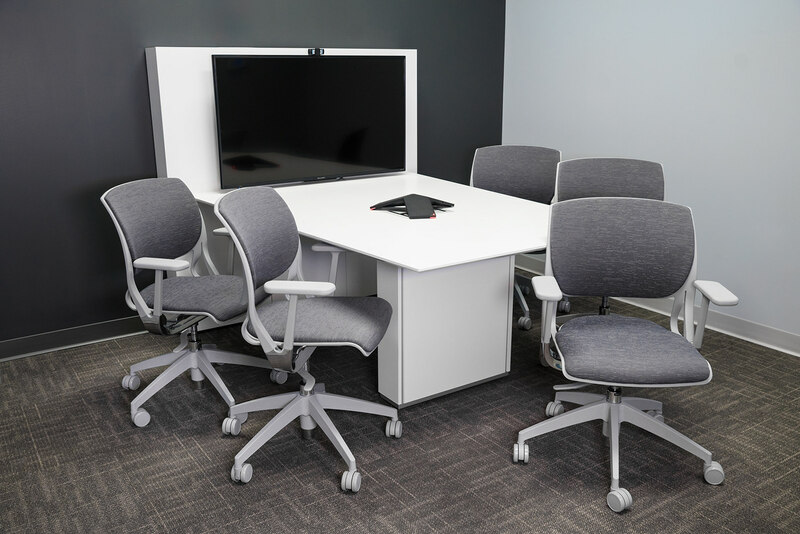 In addition to comfort, successful collaboration in today’s workplace is often best facilitated in breakout areas with a large monitor screen and a conference phone. Here’s an example from a manufacturing company’s breakout area that we recently helped PLAN and FURNISH.